WOW was this good! A bit messy to cut, and it was easier to eat with a knife and fork than to pick up… but worth it. 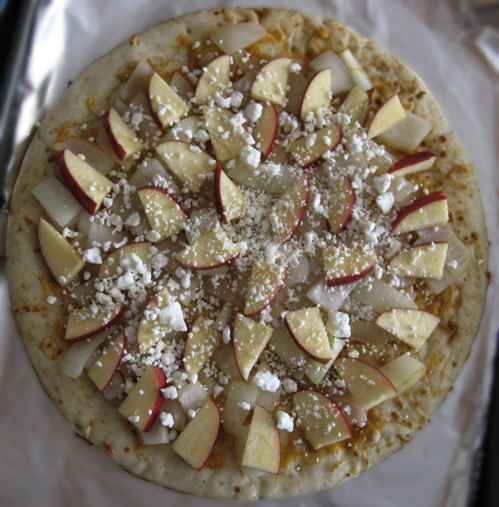 This entry was posted in Main course, Pizza, Recipe and tagged apple, curry, goat cheese, onion, pizza.